It’s hard not to take pictures of this place, formerly a bar called The 10th Frame, and now a run-down storage hut. One of the things that highlights this building’s overall demise is the dearth of glass in the windows. 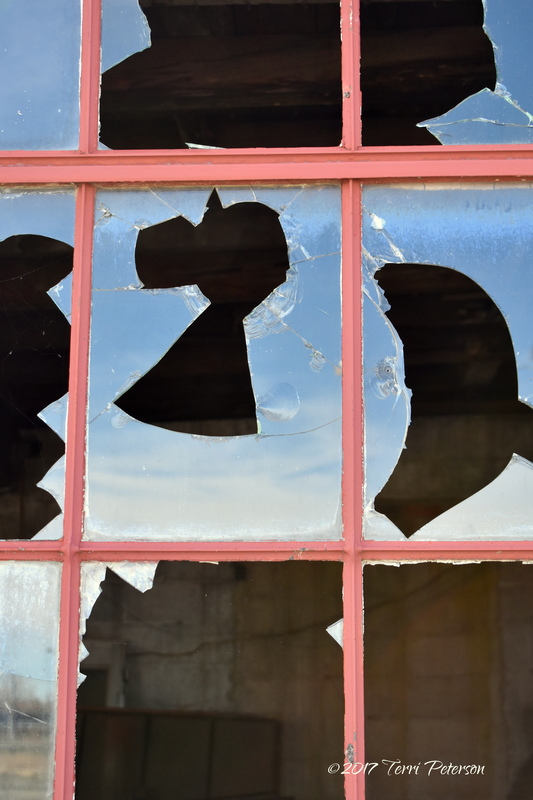 There is nary an unbroken pane to be seen, and there’s so much glass on the ground around the building that I can only assume the windows were broken outward. The fun part is, you can look at the windows and play broken-window Rorschach! See other posts about this building here and here.